Before joining Hill Country DJ, DJ Mitch Bahr worked as a Camera Assistant on Law & Order SVU, and was contracted as a Director of Photography for Kenneth Cole Productions. 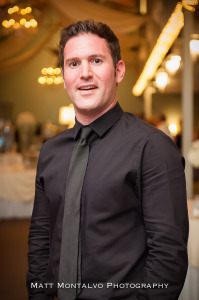 After moving from New York City to Austin, Mitch worked over 100 weddings as a Camera Operator for the well-known wedding videography company The Wedding Theater. As his musical interests grew, he quickly realised it was time for him to turn his passion for DJing into a reality and join Hill Country DJ. Mitch will mix live at your event to keep the party going all night long. He’s also familiar with digital audio programs like Ableton and Logic, and produces his own music.